Augsburg - Derby fever is building in Bavaria this week as FC Augsburg prepare to entertain neighbours and top-flight newcomers FC Ingolstadt 04 on Saturday (kick-off 15:30 CEST). 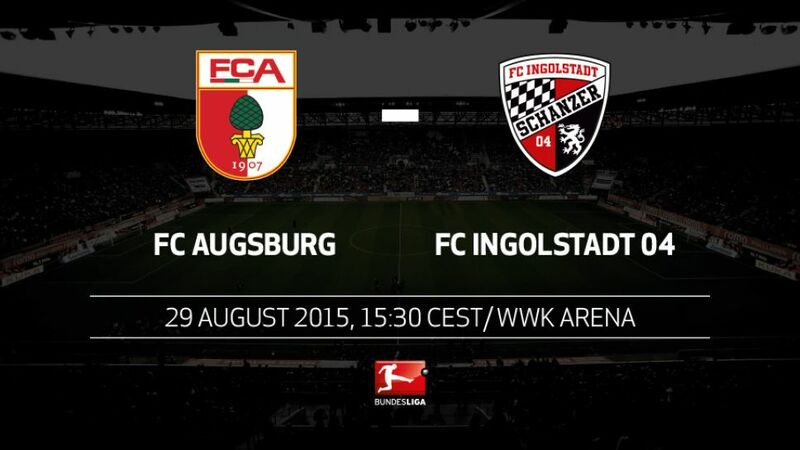 Ingolstadt could become only the second newly-promoted side to win their first two away matches. The first was Fortuna Düsseldorf in 1996/97.In four Bundesliga 2 encounters, Augsburg took ten of a possible 12 points against Ingolstadt, as well as knocking them out of the DFB Cup in 2009/10.Augsburg's Caiuby switched from Ingolstadt in 2014, having scored 21 goals in 104 matches for FCI. Ingolstadt's Elias Kachunga scored his first competitive goal of 2015 against Augsburg (in a 2-1 win for SC Paderborn 07).